Many experts believe that identity theft is quickly becoming the crime of the century. Once ID theft has been committed, that person can steal who you are and ruin your financial records for years to come. Thankfully, in this modern age, there is protection available for you. This is because, in most instances, it is not your fault if someone steals your identity. There are businesses that criminals attack every day in attempts to try to steal your social security number, address, name, your bank records or even just your public records that these companies might have on file. This type of information harvesting does not only affect adults, but it can affect children too. In addition, authorities do not always catch the perpetrators of these hideous crimes immediately, causing the problem to grow and become harder to address. 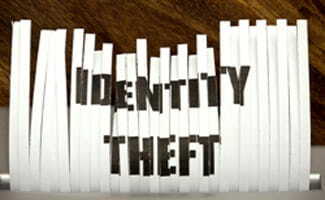 There are a number of identity theft cases every year, yet some are larger than others are, and some are better known. Businesses have attempted to take control and monitor their systems more effectively, yet sometimes hackers can still find their way in. For instance, in Miami, Florida between 2005 and 2007, (just an eighteen month time span), there was a man who ultimately received twenty years in jail for identity theft. The prosecutors of this case deemed this the largest identity-theft case in U.S. history. A twenty eight year old man named Albert Gonzalez admitted to leading an international ring of hackers in the large-scale theft of 45.6 million debit and credit card records from well-respected U.S. retailers. These retailers included B.J. Wholesale Club, TJX Cos, and OfficeMax Inc. Albert had worked as a federal informant prior to this case. Albert pled guilty to all the charges that were against him. In the courtroom, he announced that he only blamed himself for everything that happened. He continued to say that he did not just exploit the computer networks, but he also exploited valuable personal relationships to do what he did. The proceedings took place in federal courts located in both Boston and New York. U.S. District Judge Patti Saris chose not to charge Gonzales with the maximum sentence of twenty-five years despite the prosecutor’s insistence on this. Instead, she gave Albert a twenty-five thousand dollar fine and three years of probation. During his Boston court trial, Albert admitted that he was not the lone participant in his illegal activities. He stated that he had his ten other co-conspirators target specific companies that would be easy to hack. This occurred when the men found unencrypted vulnerabilities in wireless networks throughout Miami, Florida off Route 1. The first company hit was TJX, the parent company and owner of T.J. Maxx and Marshalls clothing stores, Sports Authority, B.J’s and Office Max. After the smoke cleared, a spokesperson for TJX reported a company loss of two hundred million dollars. There was also an attack on Heartland Payment Systems. Albert received charges for hacking into the systems of Citibank-branded 7-11 ATMs, the Hannaford Brothers and the Heartland Payment Systems. These thefts were lead by Albert, of course, and two other unidentified hackers who were located in or around Russia. Arresting Albert was not hard at all for officials. Albert and his co-conspirators looked suspicious to authorities after repeatedly returning to a Dave and Busters location. Their hack program would not restart itself automatically after shutdown so they needed to restart it each time. Albert was arrested in Miami, Florida inside the National Hotel. Police then proceeded to seize any and everything they could. In total, they found 1.6 million dollars in cash (1.1 million was found in his parent’s yard), two laptops, a BMW vehicle, and a compact handgun. However in March of 2011, Albert withdrew his guilty pleas by saying that his attorney had not advised him that he could use the title of public authority defense in his case because he had been working with the Secret Service on catching cyber criminals. Although there may have a hint of truth in the matter, he had given up his right to appeal the decision as part of his plea bargain. He will be serving the entirety of a twenty-year sentence, which is the largest sentence on record for such a crime. Frank Abagnale has now become famous. The hit movie, “Catch Me If You Can,” tells the story of Frank Abagnale. Leonardo DiCaprio played the lead role. Frank was a real man and the movie paints an accurate picture of what he really did and how he chose to live. It starts out when he was younger, and his first victim was his very own father. His father had entrusted him with his credit card to get gas and a truck to use for work. Frank took this card and made a deal with a local store that he would use this card and receive cash for his expenditures and the store could keep their product. This only went on for a short time and he left his father with a credit card bill worth thousands of dollars. Frank then started to mess with his bank account. He was writing checks on his own overdrawn account, but of course, this would only last for so long before they demanded payment from him. So, he then created many different accounts with various other banks using the new identities that he had made. In the next stage, Frank learned how to print out his own checks and started depositing them into his account. He then would persuade the bank manager to give him cash advances for the checks. Quite a few other things that Frank had done led him to be the most successful identity thief there ever was. At one point, he created a false degree from Columbia University under the name of Frank Adams. He took this degree and started teaching as a sociology instructor at Brigham Young University. Later, he forged another degree, however this time it was from Harvard University. This gave him the ability to now work as a lawyer after he had passed the bar exam. At this time, his name was Robert Black. This was necessary because he had told a young stewardess that he was dating that he had also been going to law school. He met the stewardess by posing as a Pan America World Airways pilot. He was also creating false paychecks from Pan Am and cashing them all around the world. He did not leave a paper trail behind either, because Pan Am would pay for hotel, food, and drinks while the pilots traveled around the world for work. On top of this, he also became a doctor! For eleven months, he was a pediatrician in Georgia. At this time, his name was Frank Conners. This did not work out very well for him though. Patient medical issues kept cropping up with the children that he was treating, and he just could not handle them. During the evenings, he was able to have the nurses perform the majority of the duties though. Ultimately, the police will catch all criminals and charge them for something, though sometimes they receive charges for crimes like tax evasion or postal fraud. In 1969, police caught him in France when another airline attendant had recognized his photo and turned him into the police. At this time, twelve countries wanted to extradite him for the fraud he had committed there. He had escaped from the federal jail in Petersburg, Virginia in April of 1971. In the year of 1974 and the ones to follow, he worked closely with the government without pay to assist them in catching fraud and scam artists. This position with the government led to him to create his own business, which helps guide businesses against fraud crimes, Abagnale and Associates. He now is a millionaire by legal means of fraud detection. There is protection out there for yourself and your family. However, you still need to take protection into your own hands. For instance, Todd Davis, the CEO of the leading identity theft protection agency LifeLock took his social security number and broadcast it on national television. He was entirely confident in his company; so much so that he believed there was no way that someone was going to be able to steal his identity. Todd Davis went as far as daring the world to just try to steal his identity. Well, the world answered with a punch. Eighty-seven plus people used his social security number with false names. There are currently about twelve cases in US courts involving criminals that attempted to steal his identity. Todd is still paying the price for voluntarily exposing his social security number to the world. Would you want to be a celebrity? Of course, most people would. However, they have it just as bad as normal people do when it comes to monitoring their identity. In this case, a man named Abraham Abdallah decided he wanted the power of the celebrity. Abraham used the internet and the Forbes list of richest people to become rich himself. He contacted Equifax and posed as his victims in order to obtain their social security numbers, credit card numbers and other financial information, including bank account information. He posed as Steven Spielburg, Oprah, George Lucas and many others. He had stolen over four hundred credit card numbers and was planning to steal even more. The company Merrill Lynch was the first to discover what was happening. They had received a false e-mail from Thomas Seibel asking to transfer ten million dollars into a different account. The personnel at Merrill Lynch found this hard to believe and contacted the local authorities. Police apprehended Abdallah shortly after this. He had ordered a twenty five thousand dollar piece of equipment in order to make his fake credit cards. At the time of his arrest, he did not go peacefully with the authorities. He tried to flee, but failed. This was not his first fraud case. He had previously served a jail term for bank fraud when he was eighteen years old. At the time of this event, he was a thirty two year old high school dropout who worked as a busboy for a local restaurant. A man named David Crouse is a victim of identity theft as well. This man lived a normal life like most people. He enjoyed the fact that the Internet had everything. It allowed him to do things like purchase items on EBay and do his personal banking and bill paying without leaving his home. This is what most people are accustomed to in the world today, however in this case with David, he found there was a slightly different world on the internet, the world of cyber crimes. In February 2009, he found that there was something not quite right with his bank account. When he looked it over, he would see some slight deviances, such as twenty-three dollars here or seventeen dollars there. At this time, he had a full time job. He also had a spending account available that contained thirty thousand dollars, so twenty dollars here or there did not worry him much. In August of the same year, however everything went wrong. He noticed there were numerous charges in his bank account for three, four, and even five-hundred dollars. It got so bad that in one day there were charges of about three thousand dollars. This continued for some time. He then started the process with his bank to decipher what charges were actually his and which ones were fraudulent in his account. The first day he filled out about twenty or so affidavits claiming that he was not responsible for the charges that were on his debit account. He went into the bank every day after that checking on his account and filling out an affidavit as needed for the various spending that was occurring. David says that there was a day that the bank had accepted a charge of four-thousand dollars shortly after he filled out another affidavit. At this point, he had already lost his job and the income to counter act these attacks against him. Now he was only collecting unemployment and receiving way less money that he was accustomed to receiving. He was depressed and did not know what to do, or where to turn. He did not understand what was happening or how he could correct the issue. David closed the debit account in hopes that all of these actions would stop and opened a new account at a completely different bank in town. The next morning both of his accounts received a charge of over one-thousand dollars. His new bank took the time and was able to tell him what was really going on. They informed David that it was keystroke malware software that had infected his computer and created all of the issues that he was now facing. There was even a person who was writing checks in a completely different state that were drawing from his bank account. That is how serious it got for him. By the end of the whole thing, someone had amassed around $900,000 worth of online purchases, online gambling fees, telephone charges and whatever other financial charges you can think of at David’s expense. He tried to salvage what he could by emptying out his retirement package and his savings, but it was nowhere near enough to pay for everything. He once had an outstanding credit score and now he will be lucky to be able to even get a place to call his own. To this day, he is still being hacked by many different people, and he claims that he has no identity anymore because of all this. Criminals are still using his social security number, name, address, and phone numbers to attempt to open new bank accounts, credit cards, and various other things around the country. As you can see there are different ways that identity thefts can occur, and all forms of ID theft can be devastating for the victim. They can occur to normal people, well to do people or even celebrities. You never know who is on the other end of the wireless connection you are using and what they could possibly be doing with your private information. Identity theft does not discriminate and happens to fifteen million people a year all over the world. You do not want to become one of those people who no longer have an identity and you can protect yourself and your family by using various identity theft protection software programs that are available everywhere. Above anything else, you need to protect yourself in your own way. Do not use your personal information unless you have too. Do not publicize your social security number, do not give out your information to unknown sources, and do not answer strange telephone calls. Stay as safe as you can by buying ID theft protection. You should also try to make wise choices while you are doing things online. Jerry Allen Whittredge is a commercial airline pilot obsessed with taking to the skies by any means possible. Whittredge managed to convince workers at the Space Center in Alabama that he was both a member of the next NASA shuttle mission and a CIA agent with a Congressional Medal of Honor. These claims managed to get him an “exclusive” tour of the space facility…why is an exclusive tour such a concern? At the time Whittredge was given access to classified information on the shuttle’s propulsion system as well as access to Mission Control at the time of the shuttle mission. Whittredge wasn’t satisfied with his Alabama space facility however, and also managed to convince the Navy to allow him to train in a T-45 flight simulator. Just how long did this rouse continue? For eight months Whittredge kept up his facade but unfortunately for him he never realized his dream of traveling in to space. Jerry Allen Whittredge was caught in the act and for his deception of the United States government he was charged $250,000 for impersonating a federal employee and faced five years in jail. What is perhaps the most concerning about this case of identity theft; or “posing” is that two of the most significant and trusted forces in the United States were duped by a complete stranger. In August of 2000 one of the most brazen cases of identity took place when a group of Russian con men came together and posed as the Moscow Philharmonic Orchestra. The orchestra, one of the most respected and talented classical orchestra’s in the world was touring throughout Europe at the time of the scam. Unfortunately for those taken by the rouse, not everyone was aware of the touring schedule. In August of 2000 a Hong Kong classical music venue received a call from someone claiming to represent the Moscow Philharmonic Orchestra. According to the stage manager that booked the event, the Orchestra was available for a couple of shows. Being one of the most impressive orchestra’s around, the Hong Kong man jumped at the opportunity to book them. The man watched as the large orchestra arrived, rehearsed and performed in front of over ten thousand classical music lovers in Hong Kong. Throughout the performance and even for a short time following, none of the attendees had a clue that they had in fact been duped. Perhaps more amazed of the appearance than those who attended the event, was the real Moscow Philharmonic Orchestra who read of their Hong Kong performance while on tour in Europe! What became of the talented con men in this case? No one knows. No one even knows who the men were. What is known is that they played well enough to make over $30,000 and get great reviews from critics attending the event. Radovan Karadžić was at one time a Bosnian Serb politician who is currently detained in the United Nations Detection Unit of Scheveningen. Karadžić stands accused of war crimes against Bosnian Croats and Bosnian Muslims and for ordering the Sredrenica massacre. Radovan Karadžić served as the President of Republika Srpska from 1992 to 1996 but from 1996 to 2008 he was a fugitive from the law. During his time as a fugitive, Radovan Karadžić (educated as a psychiatrist) worked at a private Belgrade clinic in psychology and alternative medicine. During this time Karadžić worked under the alias Dr. Dragan David DabiÄ under the Human Quantum Energy company. What became of Radovan Karadžić? On July 21 in 2008, Karadžić was arrested in Belgrade and tried by Belgrade’s War Crimes Court just days after his arrest. At this time Karadžić was extradited to the Netherlands where he was placed in the custody of the International Criminal Tribunal for the former Yugoslavia. Todd Davis worked as the CEO of a security company designed to protect user’s identities. So confident was Davis in his company and the products that they offered that he decided to use his social security number as an advertisement for the faith he had in his service. Davi’s social security number was displayed in advertisements and on billboards across the nation as Davis bragged about just how secure his system was. What happened to Todd Davis? Unfortunately for Davis his product wasn’t as foolproof as he thought it was. Over the time that these advertisements ran, Davis has a slew of loans, credit lines and credit cards issued in his name from a number of financial institutions. You may have noticed that these social security advertisements no longer run; now you know why. Dr. Gerald Barnes was a well mannered man who appeared kind and caring but what none of his clients knew is that Dr. Barnes was never a doctor at all, in fact he was Gerald Barnbaum! Barnes never attended medical school and it is said that he never even came close to attending medical school. Still, it was his lifelong dream to be a doctor and through identity theft he made that dream come true. Dr. Gerald Barnes forged medical degrees and various diplomas to fool clients in to believing that he was certified. Barnes also posed as other certified doctors in order to make profits from their well reputed name. Just how long did Barnes get away with his front? From 1976 through to 2000 Barnes “treated” patients despite his lack of medical knowledge and is known to have contributed to the death of at least one patient. It was the death of patient John McKenzie that exposed Barnes as an imposter the first time he was caught. The second time Barnes was caught when he applied for hospital privileges and caught by the real Dr. Barnes whose license the imposter had been using. The third time the imposter was flagged was in 1989 when he stole a pharmacist, Dr. Barnes license and attempted to use it to obtain a pharmacist position in Los Angeles. In 1991 Barnes was arrested again in 1991 for parole violations. What became of the imposter Dr. Barnes? Initially he tried to fake his suicide and following that a heart attack. Unfortunately for Barnes these attempts fooled no one and he was sentenced to prison. After one successful prison escape, Barnes had his sentence extended and is still serving his sentence in Englewood Federal Correction Institution in Littleton, Colorado.